Has an accessible games industry undermined its long-term stability? The games industry is more accessible than ever before, from training and development tools through to government support and distribution platforms, but has it come at the cost of stability? Anyone paying attention to the indie scene recently will be aware that the number of games released on Steam is growing at a staggering rate. According to Steam Spy, 7,658 titles were released on the platform in 2017, up from 1,784 in 2014. This has a few obvious knock-on effects; in 2014 the average number of units a game would shift was 154,000 while the average price across the platform was $11.24. Jump forward to 2017 and those numbers are 46,000 and $9.45 respectively. Additionally, games releasing in 2016 were launching against roughly 70 other titles, but in 2017 that number was in excess of 200. As an indie developer, if you're not worried by those numbers, you should be. It's not enough to say that the best games will always succeed, regardless of market conditions, because that simply isn't the case. Not only are there too many games, but the media lacks the bandwidth to provide adequate coverage. This problem is only further compounded by the mechanics of online publications, including vloggers and streamers, which are driven by traffic and therefore drawn towards titles that will generate views, whether that's the needlessly controversial games like House Party and Hatred, or sticking to the mass appeal AAA titles like Call of Duty. Speaking at Gamesforum London last week, director of indie publishing at Square Enix West, Phil Elliot, shared his views with GamesIndustry.biz on what all of this means for the industry. "There is a key difference between now and ten years ago, and this is why it's really important for the industry to take note and not be blasé and shrug their shoulders just because their corner is okay," he says. "Ten years ago indie games were possible make because of cheap and accessible tools, they were possible to sell because of platforms like Steam, but they were also highlighted by journalists who wanted to find new games, because a lot of tites got cancelled back then. So there was a paucity of games compared to even a couple of years ago. Plus you had gamers that wanted new experiences so they were ready and receptive to hear about new games that were coming out. "Now, the difference is, journalists are swamped so there is almost a paralysis when it comes to going out and finding new games and experiences. And gamers, they already have so many games and there is so much choice. This problem now is very different to what it was before and we need some sort of industry-wide action and a thorough debate, an admission on all parts. All stakeholders need to come together: platforms, hardware manufactures, publishers, developers, retail - this is a challenge for everyone." The industry is faced with a paradox; by taking steps towards curation we put up a barrier to entry that could prevent the best games from reaching consumers but if we don't, these games will be drowned out by the noise of an overcrowded market. "The industry could have been in real trouble. Without Steam... we may have never seen the indie sector rise up"
"The raw numbers are quite frightening, particularly if you compare them to four of five years ago," says Elliot. "I hear quite a lot from people saying that Steam should curate. A lot of people were surprised when they went away from Greenlight, which wasn't a perfect process as I'm sure anyone would admit, to just an upfront fee." Elliot is quick to defend Steam however, arguing that Valve created an opportunity for indies during a period when the mid-range AA industry was collapsing along with the global economy in 2008. "The industry could have been in real trouble," he says. "Without Steam, without Unity, without others, we may have never seen the indie sector rise up... They were responsible for making it possible to release games at a time when no other platforms were remotely easy to get onto. It's easy for us now to look at indies going to Switch, Xbox, or PlayStation, but that's only happened because of the work Steam did in the first place." It's important to remember that while the flooded Steam storefront is problematic when it comes to the long-term health of the indie scene, Valve doesn't control the industry; it's a symptom of deeper-rooted problems, and there are plenty of other factors at play. "We're a victim of our own popularity now," says Elliot. "People want to live the dream, they love games so much, they want it to be more than their hobby and, like any gold rush, they see it as possible." The industry is heading towards a tipping point. On one side we have an overpopulated indie scene where its growing harder and harder to find the best games, but on the other side the near exponential growth in development costs have left the AAA market increasingly saturated with safe, dependable franchises that will only be dependable for so long. "We're a victim of our own popularity now. People want to live the dream... and, like any gold rush, they see it as possible"
"How can we still find ways to actually champion genuine new talent to seek it out and nurture it?" asks Elliot. "Because in the end the industry is our back garden. We need to think about where that creativity and those new ideas and fresh talent is going to come from. If we rely on what we have and rely on franchises and sequels, people will lose interest and that would be a really sad thing to happen." Consumers and pundits alike are calling for proper curation of storefronts like Steam. But, as Elliot suggests, it's not that simple. Curation comes with its own host of problems, and puts undue power into the hands of platform holders. "Look at what YouTube has done recently with changing the boundaries for smaller content creators before they get to do monetisation stuff," says Elliot. "Some people say YouTube should have curated its platform properly in the first place, others might say that its a positive step because they started to do. Whatever happens, there's a lot of people who are demoralised because even if they weren't expecting to make millions, there was always a target to reach, but then the goal posts got moved." Unfortunately there is no easy solution. The popularity of the industry will always be a powerful draw for budding creatives, and games development will only become more accessible as the tools improve. Furthermore, how can the games media justify the time and expense associated with digging up the occasional indie gem as those gems become increasingly difficult to find? In its current form, the indie scene feels unstable and while Valve is obviously aware of the current issues with Steam Direct, is the task of curating thousands of games each year simply too much? “Obviously I'm not going to speak for Steam, but they are kind of in a position where they're damned if they do and damned if they don't," says Elliot. "I don't envy the task they have, and I'm sure the people who care about this issue the most is Steam." Between the lines this reads like an argument against free market economy. Should I register gamescartel.biz? Gamescartel - we a just like Nintendo's Seal of Quality, only slightly less clandestine. "According to Steam Spy, 7,658 titles were released on the platform in 2017, up from 1,784 in 2014." If you look at the graph of new titles added to Steam since it started, what it shows you is that the de facto monopoly provider of PC games distribution imposed excessive barriers to entry for *years* too long. They did not view Steam as a generalised distribution channel like Amazon or the App Store and as a result never invested in the infrastructure to fully open their service. Stagnation as the result of a lack of real competition. The total number of games on Steam is still a tiny fraction of those available to download and play on the PC that have ever been released and could notionally be packaged up and presented for consumption. Clearly more games need to be added, faster, with fewer arbitrary restrictions on what a PC game is supposed to be in terms of audience appeal, aesthetics and size/length of experience. It's not Valve's job to decide what customers 'should' want - I don't think that they could have predicted many of the weird and wonderful niche games and genres that have found receptive audiences on their store. To claim as uncontested statements of fact that there are "too many games", the market is "overcrowded" or that there MUST be some sharp recalibration of the market soon seems ludicrous to me. Are there too many books, or songs, or meals, existentially threatening the prospects of any new ones being made? Good quality games (read: games that appeal in conventional ways to a broad audience) aren't "drowned out" by a wider range of games existing on a platform. It's a faulty premise. Did Grand Theft Auto or FIFA ever struggle because the PS2 was deluged in shovelware? And sure, it's a problem that there are too many interesting games for the media to cover now, but it's not like the majority of consumers have ever paid much attention to the games press anyway. There are not too many games. There are perhaps too few stores. So what you're saying is, Steam is going the same way as the App Store and Google Play. The cost of user acquisition is spiraling as new games are burying each other. I wish I knew what the solution to this is. If I did I'd be a millionaire. The 46,000 at $9.45 gives far too rosy a view - the 2017 median values from steam spy are 5,000 and $4.99 which shows a more realistic expectation for the average title. @Robin, you haven't been using Steam lately if you're really clamoring for more titles. Browsing through the new releases is just a nightmare currently. Ton after ton after ton of ridiculous crap, until you find the few titles really worth your time and interests. What we need is not censorship that will eclipse titles into non-existence but better ways of sorting through that mess. Part of that might be to eliminate the crap from the main store or have better channels to reach the right audiences. Let every title have a fair chance of making its mark but give a better push to the ones really deserving it, or at least make it easier for the consumer to find them. Your GTA/FIFA argument undermines the quality and value of lesser known titles. Obviously these big brands won't be affected. The problem is for the top quality lesser known ones. Games you've never heard about but absolutely need to play. These are the games having a hard time surfacing through the cesspool of low quality titles. These are the games having a hard time surfacing through the cesspool of low quality titles. I wonder how much their developers are spending on marketing. The issue with curation is that it assumes the curators are able to predict the appeal or success of a title in advance. As someone who sat in the Xbox Live Arcade portfolio review meeting (which decided the titles Microsoft would publish on the service) I can assure you this is not the case! To their credit, Steam figured this out years before I did. There absolutely are more books being written, and is more music being made than the world needs. Those industries have many of the same anxieties as games. The difference is that most budding musicians know there is only a tiny chance of becoming a rock star. Doesn't stop them gigging around and putting their music on bandcamp and Spotify. But they aren't expecting to quit their day job soon as the first album is out (or quitting their day job and remortgaging their house in order to make that album). @Robin Clarke: It's not that I wouldn't like to believe you're right, but I'm having a hard time meshing some of your perspective with the reality we're facing. They're a storefront. Like any other store, I think they absolutely have a responsibility to concern themselves with what customers might want. It does them no good to flood their store with games people aren't going to buy. To suggest that they should simply throw the doors wide open and tell themselves, "Let the consumers decide!" sounds naive at best. Keeping your point about their lack of infrastructure in mind, I can't see how doing this would improve the situation for them. In fact, I think it'd only make things worse. Besides, we can't get too carried away with this notion that Steam is somehow playing gatekeeper. There are all manner of indie games on the platform and there only continue to be more. Greenlight may not have been perfect, but it was an earnest attempt to find a way to bring viable products that customers wanted onto their store. Valve has as much right as any other store or retailer to decide what does and doesn't belong in their store and their success with consumers seems to indicate they're not doing so poorly at it. Beyond that, there are tons of online retailers. Good Old Games, Chrono.gg, Humble Bundle, GamesPlanet, Gamersgate, Itch.io, Direct2Drive, DailyIndieGame, Fanatical, GAME UK, Groupees, DLGamer, Nuuvem, and Sila Games just to name a few. On top of that, many publishers have their own online stores. I don't think it's safe to say that a lack of shopping options is the problem. Maybe there's an argument to be made for a lack of awareness of these stores, but they are there. Are there too many books, or songs, or meals, existentially threatening the prospects of any new ones being made? The answer is an emphatic yes! Publishers for books are more selective than ever, leaving hopeful writers to fend for themselves in the jungle that is Amazon's ebook section. The industry for music has always been a harsh one for musicians hoping to make a living; the ratio between those who go on to make world wide releases for their albums and those who are just hoping for a click on BandCamp is staggering. Good quality games (read: games that appeal in conventional ways to a broad audience) aren't "drowned out" by a wider range of games existing on a platform. It's a faulty premise. Did Grand Theft Auto or FIFA ever struggle because the PS2 was deluged in shovelware? And although I think there's truth to this statement, I can't help but think you're missing the point of the article with examples like these. 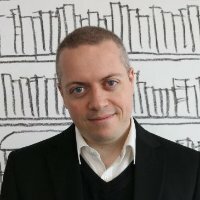 FIFA and GTA are massive franchises with a degree of marketing and established reputations that others can only dream of, especially when we're talking about indie games and indie developers. Sure, FIFA and GTA didn't have to worry about standing out against the shovelware on PS2, but Grand Theft Auto is a franchise that almost literally shakes the industry when it releases new titles and FIFA is EA's largest money making IP by far. These examples are exceptions, not the rule, and we can't afford to forget that key difference when we're looking at industry wide problems like this, especially in the context of the indie space where worldwide reputations and Superbowl marketing tactics just aren't in the cards for most people. Apologies if I came across as antagonistic at any point, it's just passion and I just had my first cup of coffee for the day. Cheers to all. "It does them no good to flood their store with games people aren't going to buy." It literally makes no odds to them. They have no shelf space to pay rent on. No remainders to ship back. They take the same cut on every unit sold, whether that's 20,000 niche games serving a tiny community or one mainstream hit. If the (subjective) shovelware doesn't find an audience it sinks out of sight. And yes obviously other stores exist, the issue is that Steam dwarfs them globally. I don't really know how to respond to people treating the obviously absurd proposal of limiting the number of songs or books that can be published as a serious solution to an actual problem. No offence taken. I don't pretend to have any answers to people trying to get visibility for their games on Steam, I just object to the article's assumption that an abundantly stocked store is an anomaly to be corrected. I share Robin Clarke's view point on this issue, I think this author is being alarmist in the wrong direction. As developers, I'm sure we'd love to blame our sales deficiency's on "too many games" and "too much choice," but that would be blind. This is also not a special unique problem to the game industry. This is the nature of technology. Tools evolve. This happens in all industries. I use to need to pay for time at a recording studio with an engineer to create music, now all you need is a laptop. The fact of the matter is, I still genuinely believe quality material will separate out from the mediocre noise. The democratization of software tools means that if you want to have successful title, it needs to be better than the rest.